Holly Bertone was diagnosed with breast cancer on her 39th birthday, and was engaged two days later. In 48 hours, those eight magic words, “You have breast cancer,” and “Will you marry me?” converged to change her life forever. Follow Holly’s year-long journey from diagnosis and engagement to being sick and bald on her wedding day. This is Holly’s story as she battles breast cancer and struggles with overcoming the subsequent self-esteem issues. The writing is raw – you will get an uncensored view of breast cancer treatment and what it’s really like. She uses humor and laughter to redefine beauty as she loses part of her breast, all of her hair, and is launched into early menopause. 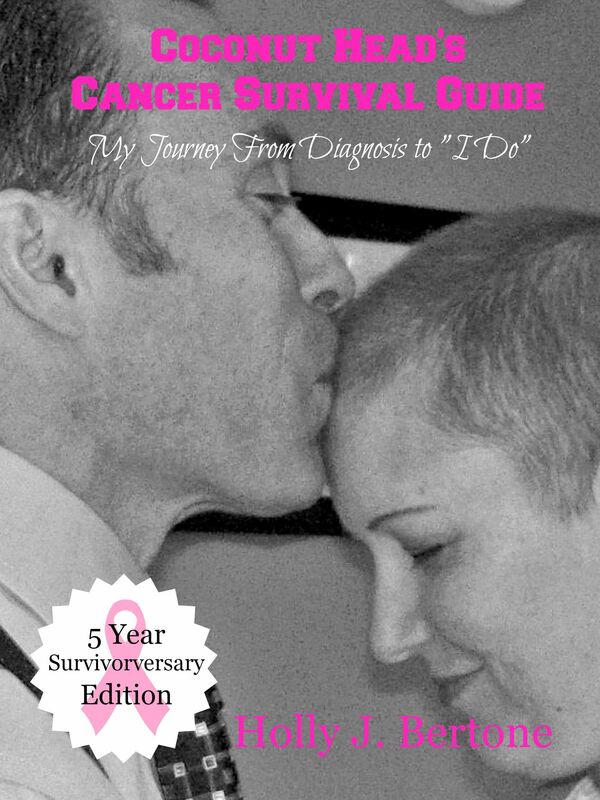 With pop culture references and her quirky sense of humor, Holly’s heartwarming story of love and strength is encouragement for all women going through cancer treatment. A percentage of sales will go to Holly’s favorite breast cancer charities.